Other then skills and hard work, Internet is something which is must for expanding your business. The e-commerce industry is flourishing like anything because it is the simplest way to reach out to your targeted customers through just a click. But if you love to spread your business at just a click then your customers can definitely not stay at a back seat. They too want an easy to access method to your products. This is where most businesses which are entitled high-risk are lacking today as it has become difficult to secure a merchant accounts for accepting credit/debit card transactions. The reasons why merchant account application is rejected for many businesses are probably a poor credit history and a higher risk of charge backs. At AMSLV, we aim to provide the best services to the high risk businesses in order to provide them a smooth payment gateway. 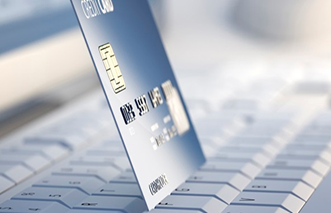 We have been providing high quality merchant accounts to high risk business for over a decade. Our experienced team caters to the need of all kinds of business requirements and work accordingly to provide them with customized solutions. We first understand the way your business works and considering the terms and conditions of your business, we design the solutions to fit to your business needs. Health-club membership business is one of the high risks businesses for which many banks are reluctant to provide merchant accounts. But once you have applied for merchant account application with AMSLV, you can just relax as we provide you a smooth and easy payment gateway which will simply create an easy way to make transactions for your customers. We have a large cluster of banks both on shore and offshore which gives you the option of choosing the desired bank. We assure you of our credibility because of our strong relations with banks like Wells Fargo Bank and First Data Corporation. If you are looking for a payment gateway solution to your high risk business then you have luckily come to the right place. We assure you flawless services along with guidance from experts. Just fill in an online application form with basic details and one of our team members will contact you for the rest of the procedure. Once the documentation is done, we forward your application to the acquiring bank you choose. It just takes 2-3 business days by the bank to approve your health-club-membership merchant account. We are always ready to answer your queries!